Monetize Adult Mobile Traffic with First Mobile Cash! : Double Up with March Madness! Double Up with March Madness! 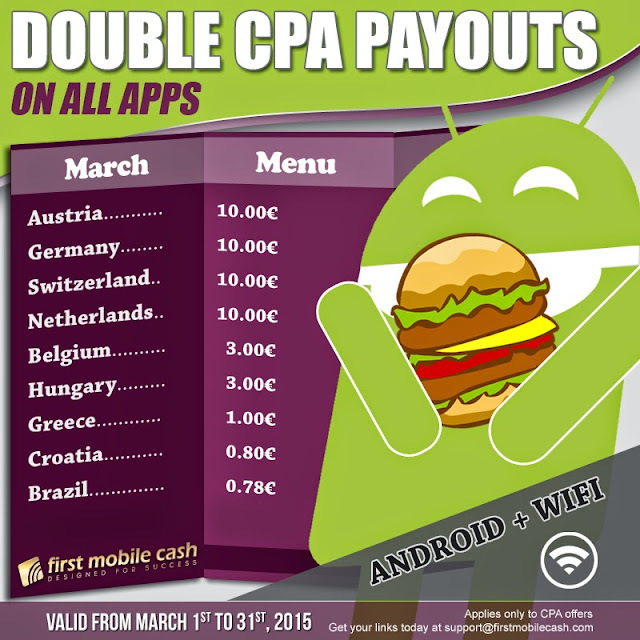 Send us your Android traffic and earn twice as much all month long. Contact Us and set up your campaign today.